Ubisoft tried its hand at the toys-to-life model, yet did not receive much in return. In fact, according to an official statement from Ubisoft, Starlink: Battle for Atlas “fell below expectations.” As a result, the publisher has announced that production of physical Starlink toys is cancelled from here on out. Despite the immense and continuous support from our players, the sales for Starlink: Battle for Atlas fell below expectations. Consequently, we recently made the decision to not release any additional physical toys for the Spring update and in the future. Regardless of this news, development on digital content for Starlink: Battle for Atlas will continue. Apparently, the Starlink team is working on the “biggest update to the game, so far.” This update, scheduled to go live in spring 2019, will feature new pilots, digital ships, and weapons. Free content is on the cards, as well, which will consist of new missions, activities, and much more. 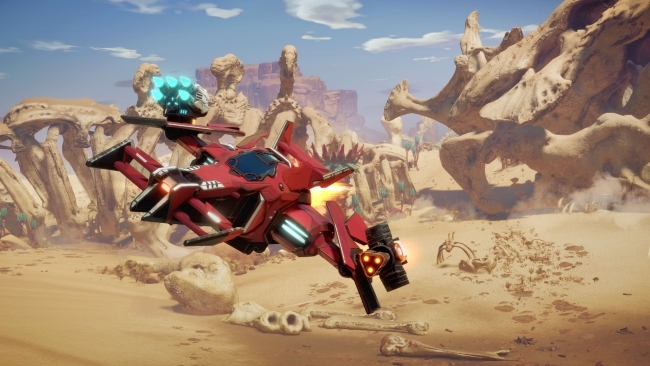 Starlink: Battle for Atlas launched in October 2018 for the PlayStation 4, Nintendo Switch, and Xbox One. Reviews, including our own here at PSLS, were fairly positive, applauding the game for its fun gameplay and immersion. Such praise does not seem to have helped move as many units as Ubisoft evidently predicted. Of course, Starlink’s poor sales also call into question the nascent franchise’s future. Might a sequel one day receive a green light from the publisher? For now, this seems unlikely. Still, even more worthy of consideration is for how long the game’s development team will continue supporting Starlink with new content. Hopefully, this question and others will be answered when the Spring content update rolls out. Presently, details about the Spring update, such as a specific release date, remain under wraps.